John Doe (John) drove his car to be repaired at We-Fix-It Auto Repair (We-Fix-It). At some point during the night, an animal apparently chewed into some building electrical wiring at We-Fix-It, starting a fire and ultimately destroying John‘s car. John feels that We-Fix-It should pay him for the loss of his car. The owner of We-Fix-It wants John to be happy and feels bad for the loss of the car. John‘s car was worth around $20,000 and that’s a lot of money for We-Fix-It to pay out of its own “pocket”. So We-Fix-It turned in a claim to its insurance company InsureCo, hoping that InsureCo would pay John for his car. InsureCo investigated the fire and said that We-Fix-It did nothing wrong, and was therefore not responsible for the damage to John‘s car. As a result, InsureCo would not agree to pay for the loss of John‘s car. We’ll look at those two issues and then dive a little deeper into some insurance coverages that play an important role in how this scenario could play out. DISCLAIMER: Please keep in mind that I am not an attorney. I have the same kind of legal training that you have, dear reader. Consult with an attorney if you are seeking legal advice! In both business and our personal lives, there’s always a chance that we’ll make a mistake that hurts someone in some way. There’s also the chance that we might disagree with someone’s assertion that we made a mistake, or failed in some way. This is risk. Risk means not being certain about outcomes. 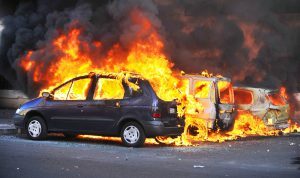 We-Fix-It accepted the job of fixing John‘s car, and didn’t expect a fire to break out, ultimately destroying his car. John trusted the safekeeping of his car to We-Fix-It , only to see it destroyed. Both John and We-Fix-It expected one outcome (a repaired car), and ended up experiencing another (total loss of the car). There’s yet another risk on the table though: the uncertainty regarding whether We-Fix-It is legally responsible for the damage to John‘s car. 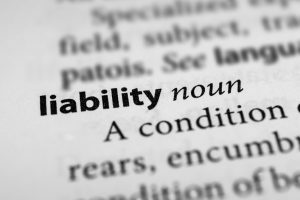 Legal Liability, or more simply liability, refers to the state of being legally obligated. In our scenario, we are interested in any potential legal obligations related to “the loss of John‘s car.” Both you and I wonder if We-Fix-It has any legal obligation to pay for the loss of John‘s car. This is not the same as feeling some kind of “moral” responsibility for the loss of John‘s car. We are not talking about feeling compassion or empathy. We are not talking about personal values. We are not talking good customer service or standing behind your work. We are talking about what a court would say about legal responsibility (if asked). In answering a question of liability, a court has to look at our written laws, previously decided court cases, agreements, and so on. By asking We-Fix-It to pay for the loss of his car, John likely holds the opinion that We-Fix-It is responsible for the loss of his car. By filing a claim and asking InsureCo to pay for the loss to John‘s car, We-Fix-It seems to be implying that it feels some kind of responsibility for the loss of John‘s car. InsureCo apparently reviewed the facts surrounding the loss, and has made clear its opinion that We-Fix-It has no legal responsibility for the loss of the car. So clearly everyone involved is seeing this scenario from a different perspective and doesn’t really agree with the other two in some fashion. Someone here is going to have to pay for John‘s car. If these folks can’t reach an amicable agreement, the only other option is to ask a court to give its own opinion. This is done by filing a lawsuit. It is especially important to take note of the fact that the question of whether We-Fix-It is liable for John‘s loss has nothing at all to do with whether We-Fix-It has insurance to pay for such a loss. We will pay those sums that the insured becomes legally obligated to pay as damages because of “bodily injury” or “property damage” to which this insurance applies. We will have the right and duty to defend the insured against any “suit” seeking those damages. However, we will have no duty to defend the insured against any suit …. to which this insurance does not apply. The policy has many more words than that, of course, and it goes on to describe how that promise above will work, and when it won’t work. Right there in the first sentence you see that the policy clarifies that it only deals with situations of legal liability, and in our scenario above we have a disagreement about whether or not there is legal liability. One thing is for sure, if John feels strongly that We-Fix-It is legally responsible, he can make his accusation formal by filing a lawsuit against We-Fix-It. By doing so, John will be forcing a rigorous examination of his claim that will result in a final and enforceable opinion. The downside is that it’s going to start costing both John and We-Fix-It some money to pay for attorneys. Nobody will be very happy, and there’s a risk to both John and We-Fix-It that either could lose their argument. If you refer back to the insuring agreement above, you’ll notice that it says that InsureCo has both the right and the duty to defend We-Fix-It when a suit is filed. Even when a frivolous claim is filed, one that could not possibly have any merit, InsureCo will have its own legal obligation to step forward and represent We-Fix-It in court. So, even though InsureCo is of the opinion that We-Fix-It has no legal liability, it will have to defend We-Fix-It and prove its opinion in court if John files a suit. In providing both legal defense and paying for damages, liability insurance is one way of making risk more tolerable for an insured. Purchasing liability insurance does not create or eliminate liability. It provides one means of managing an insured’s exposure to liability claims. It sure sounds like John‘s car was in the care of We-Fix-It. As a result, you can hear the giant ripping sound of insurance coverage being torn away right when we really needed it! It’s a good thing that you have an Independent Insurance Agent like Al Bourdeau Insurance because we can fix that little problem with a special type of coverage that is intended for this special type of situation. Say hello to my little friend, Garagekeepers Coverage! It fits our scenario almost perfectly. If We-Fix-It has Garagekeepers Coverage , then it does have insurance coverage for legal liability related to the loss of John‘s car. So this is a great coverage to have even for the most careful auto repair shop, because you cannot stop a customer from suing you. If you are sued, you must defend yourself, or just concede and pay. Without this coverage We-Fix-It would have to hire its own attorney and pay its own damages if it loses the lawsuit. With it, We-Fix-It can even fend off frivolous or flawed claims without incurring its own legal expenses. If only we could find a way that the policy would pay regardless of legal liability………Do you smell hints of something good cooking? Stay tuned…..
Is We-Fix-It Legally Liable for the Loss of John‘s car? InsureCo told We-Fix-It that it had no legal liability for the loss of John‘s car, and thus the claim was denied. That doesn’t mean that InsureCo is heartless or putting We-Fix-It in a bad position. If We-Fix-It is not legally liable, then it owes no money to John. We-Fix-It hasn’t lost any money. Case closed! But InsureCo doesn’t actually have the final say about legal liability. An insurance company is not the decider in determining legal liability. It may have an opinion, and that opinion may be a strong opinion. The claim that was filed by We-Fix-It would likely have been taken very seriously by InsureCo , but unless the liability was just absolutely clear cut, most insurers would prefer to wait for the precision of the legal process. There’s really very little risk to either We-Fix-It or InsureCo to not pay John based on an informal demand from John. So we really don’t know if We-Fix-It is legally liable or not. There are reasons to believe the findings by InsureCo as noted above, but there may also be more facts that are not yet known. There might also be other legal precedents out there that a good attorney would uncover supporting the idea that We-Fix-It should be liable, that it could have done more to protect John. The rigorous arguments just have not yet been made. It isn’t going to make John happy to have to sue We-Fix-It, and We-Fix-It already feels bad even though it might not feel totally responsible. At this point, no one really knows whether or not a court would find We-Fix-It legally liable, but who wants this to blow up into a lawsuit? We-Fix-It wants John to be happy. It wants to keep its customers. I’m proud to announce that we can tailor the Garagekeepers coverage to make this work better for We-Fix-It by including a Direct Coverage Option. This option kind of has the effect of removing the word “legally” from the insuring agreement above for Garagekeepers. In other words, it doesn’t matter if We-Fix-It is at fault or not. 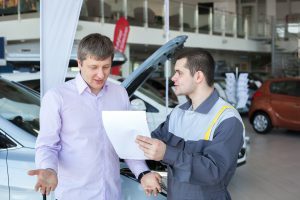 If John‘s car was there for servicing and is damaged during that time, We-Fix-It can file a claim to pay for that damage without John having to sue and prove fault. If purchased as Primary Insurance, then We-Fix-It would be able to pay John for the entire loss of his car regardless of whether or not it was at fault (legally liable). John would not have to use his own insurance, or prove that We-Fix-It was negligent. Both parties are happy. 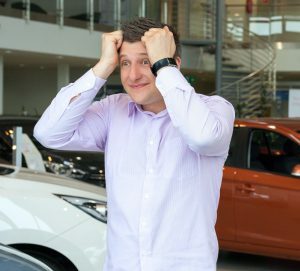 If purchased as Excess Insurance, then We-Fix-It would only be able to pay John for that part of the loss to his car that John‘s own insurance did not pay. So We-Fix-It would be able to pay John‘s deductible for example. If John had no coverage on his car for physical damage, then the We-Fix-It would be able to pay the entire loss for John‘s car. Maybe not a perfect solution, but better than not having the Direct Coverage Option at all! 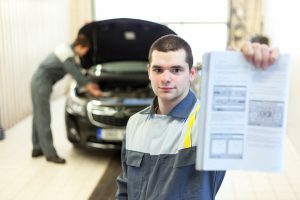 Every auto servicing business should include Garagekeepers coverage in its insurance portfolio. Consideration should given to also choosing a Direct Coverage option to provide the flexibility for preserving the goodwill of customers. How Insurance Should Work: I do not want legal defense if I am sued for damage. I do not want insurance to pay for damage to customers autos. I do want legal defense if I am sued for damage. I do want insurance to pay for damage to customers’ auto, but only if legally liable. I do want legal defense if I am sued for damage. I do want insurance to pay for damage to customers’ auto regardless of fault, but only damage not covered by customers’ insurance. I do want legal defense if I am sued for damage. I do want insurance to pay for all damage to customers’ auto regardless of fault. I encourage you to contact one of our commercial insurance agents to discuss your own commercial insurance needs! Next Post:Port Huron Office hosts Blue Water Area Chamber After-Hours event!